Brainwashed - Dedekind Cut, "Tahoe"
I cannot think of many other projects that have been quite as instantly revered as Fred Welton Warmsley III's Dedekind Cut, nor can I think of any other artists who could comfortably fit in at both Hospital Productions and Kranky. Tahoe, Warmsley's first album for the latter, admittedly focuses primarily on Dedekind Cut's more meditative, drone-based side, but there are still some moments ("Spiral," for example) that would not seem out of place on a Raime or Haxan Cloak album. That shifting and elusive aesthetic sometimes leads to some unusual sequencing choices and disorienting mood shifts, but any potential grumblings I may have about Dedekind Cut's fitfully focused vision are silenced by how gorgeous these pieces can be when Warmsley hits the mark (which he does with truly impressive frequency). This is one of the best albums that Kranky has released in a long time. While Dedekind Cut is a fairly recent endeavor, it is actually just a new chapter in a much longer career, as Warmsley has been steadily releasing hip-hop and dance albums for almost a decade under the name Lee Bannon. That goes a long way towards explaining Warmsley's formidable talents as a producer, but it does not make Dedekind Cut's rise any less impressive, as there is not a huge amount of crossover between fans of Ninja Tune and people buying post-industrial drone tapes. 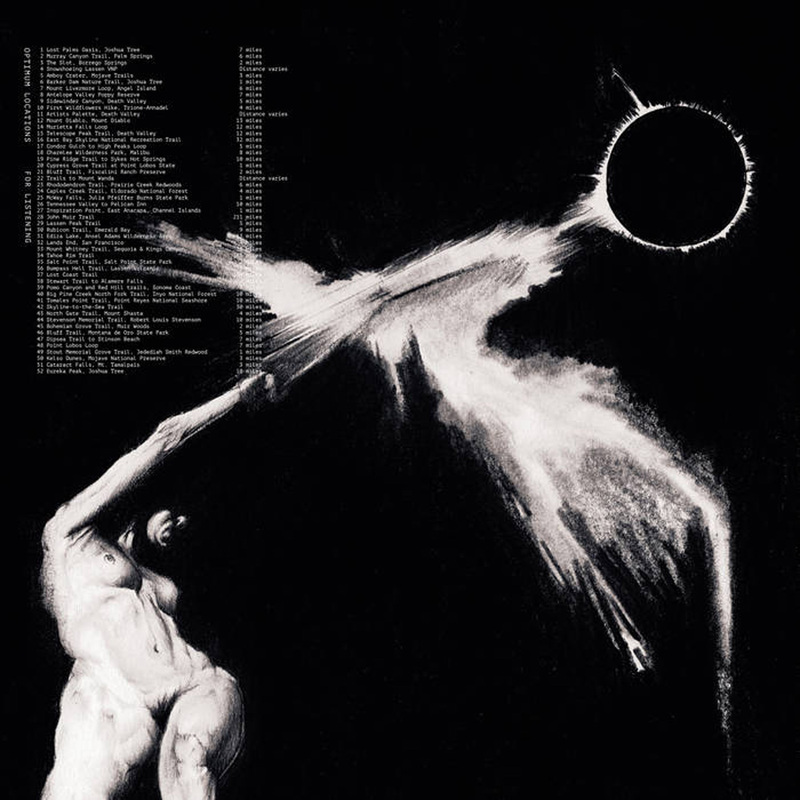 I suppose there were some hints of a more blurred and ambient bent in the last few Lee Bannon albums, yet Dedekind Cut is very much a radical reinvention, a change perhaps best illustrated by Warmsley's recent unerring genius for choosing iconic and provocative cover art for his full-lengths. The dark and striking art for Tahoe is an especially interesting and perverse choice, as the album is largely inspired by the serene beauty of Walmsley's scenic surroundings (he now lives in Lake Tahoe). The art feels weirdly apt though, highlighting the bleary, haunted undercurrent that subtly darkens otherwise heavenly reveries like "The Crossing Guard." That pervasive ambiguity is what makes Tahoe such an unusually compelling release, as the glacial flow, understated nature sounds, and warm chords of the title piece all embrace blissful tranquility, yet they are swathed in enough murk and hiss to suggest that none of it is quite real. At its best, Tahoe feels like a hallucinatory and bittersweet plunge into swirl of happy memories being experienced in a distant and lonely place. An entire album in the vein of those two pieces, the swooning bliss of "Equity," or the lushly rapturous "De-Civilization" would probably be an absolute masterpiece, but Warmsley's mercurial muse leads him down some other paths as well. Some are great, while others are a bit less so. For me, "MMXIX" falls in the latter category, as its gothic choral touches, choppy synths, and bizarrely shifting structure awkwardly disrupt the album's dreamlike spell. It a baffling piece from start to finish, opening with a flourish that calls to mind Oneohtrix Point Never's more bombastic moments, then dissolving into a surreal fugue of Tuvan throat-singing and benignly radiant New Age shimmer. I suppose that makes it one of the album’s more ambitious and experimental pieces, but it is alternately too fractured, too pastoral, and too heavy-handed to quite fit with the surrounding material. Tahoe's other divergences fare far better, however, resembling corroded negative images of the album's more lovely moments, albeit still with their own ephemeral flashes of beauty. 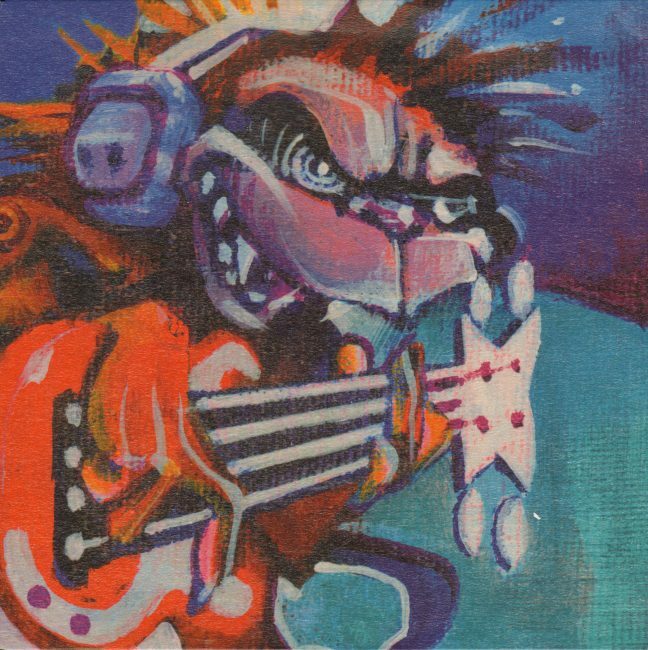 "Spiral," for example, sounds like it may have once been a quietly beautiful composition like some of Tahoe's other fare, but got twisted into a grotesque caricature of sharp treble; grindingly metallic textures; and swirling, dissonant overtones. Deep into the jabbering cacophony, there is a calm, structured chord progression unfolding, yet it is almost entirely eclipsed by what feels like a sustained howl of anguish. Elsewhere, the epic "Hollow Earth" is initially a feast of deep, hollow drones amidst evocative field recordings of natural night sounds. That soon dissolves into a gorgeous interlude of distantly reverberant choral music, but the idyll is jarringly short-lived, as the piece erupts into a roiling miasma of dense, blow-out bass; heavy drones; and arrhythmic kick drums. Rather than diving full-on into his best Haxan Cloak pastiche, however, Warmsley continually dissolves each new motif into another in a kind of languorously flowing dream logic. Eventually, "Hollow Earth" coheres into a lovely final coda of rippling waves and warmly beautiful synth melodies, which is admittedly a very neat trick. Within the sequencing context of the album, it briefly feels like Tahoe's blissed-out, soft-focus heaven is being ripped apart by a visceral surge of gnarled, ugliness, yet the howling gateway to hell is quickly sealed back up and everyone is (precariously) happy again. Tahoe's final piece, "Virtues," is yet another quiet stunner, resembling an achingly beautiful organ mass languorously drifting through the mists of a dream. It is perfect end to a near-perfect album, racking up one last transcendent highlight on a release that was already stellar. Even taken purely on a surface level, most of these pieces are beautifully crafted, expertly balancing warmth and melody with hissing, blurred textures to weave an immersive and sensuous half-dream. With deeper listening, however, Tahoe reveals deeper emotional heft simmering beneath the surface and unexpected shadows flickering across the lovely billowing clouds of drone nirvana. Much like some of Tim Hecker's albums, Tahoe is the kind of jewel in Kranky's catalog that perfectly embodies the label's aesthetic while simultaneously deepening and expanding it. This is one of the first great albums of 2018.